This project book was written and illustrated by Joan Hansen and William F. Powell. Acrylic is a popular painting medium because of its versatility. It can be applied in thick textural brush strokes, or in thin washes. It dries quickly, and is easy to clean up with water. 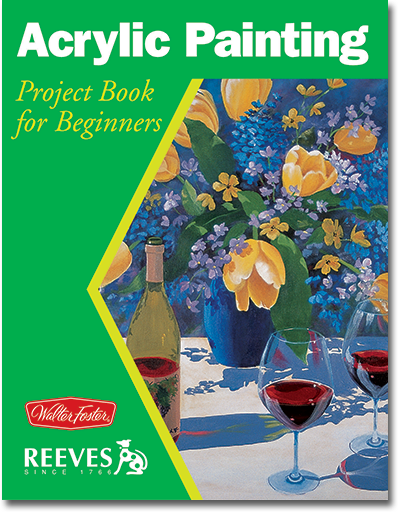 In addition to instruction on tools, materials, color theory, and mixing, this book includes lessons to give you an excellent start in painting with acrylics. Using a limited palette, the artists provide you with step-by-step instructions in painting many subjects.